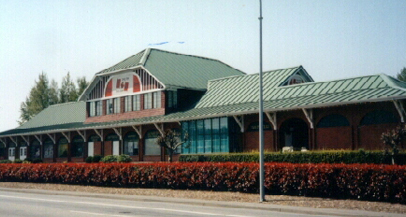 Situated on the Pacific Highway border crossing, the West Coast Duty Free Store is one of the largest road-side duty free store in British Columbia. We offer a comprehensive range of services to the cross-border traveller. After arriving at the Tsawwassen Ferry Terminal, follow the causeway to Route 17N (left). Right at Hwy 99 South towards Seattle. Take Exit 2A 8th Ave East. East for 1 miles to the light at 176 St.. Right on 176 st. and continue south 1 mile to the border. Look for the big flashing duty free sign, we're on the right hand side, just before Customs! Use the right hand Nexus lane. South on Hwy 99 South, Sea to Sky Hwy out of Whistler. Merge onto Hwy 1 East at Horseshoe Bay. Follow through West Van, across the 2nd Narrows Bridge, continuing through Vancouver and eventually crossing the Port Mann bridge. Take exit 53, south on 176 St. Hwy 15-Pacific Hwy. Follow south through Cloverdale, towards the border. Take Hwy 99 South towards Seattle. East for 1 miles to the light at 176 St. Follow east, eventually crossing the Port Mann Bridge.